Mother's Day always sneaks up on us every year, and next thing you know, you're scrambling to find a great gift. Well, consider this post your friendly little reminder to start shopping for the perfect gifts for the special Moms in your life. One of our fave sponsors, Marley Lilly, is having a big Mother's Day sale starting today and running through this Sunday, April 29th. Lots and lots of Marley Lilly's amazing items will on sale! 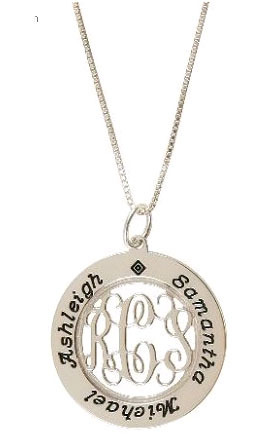 Most of Marley Lilly's gifts are customizable with monograms, so you will have no problem finding that unique gift your Mom will love. As an added bonus, if you spend $85, you will get free standard shipping with the coupon code FREESHIP. One of the things we love about Marley Lilly is that they are constantly updating their website with new items. 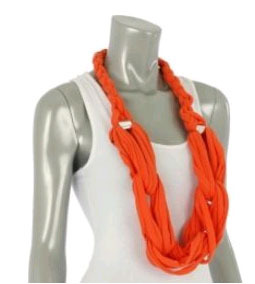 One of the latest and greatest is this gorgeous rope scarf, available in 7 different colors....including purple and orange! Spend $100 on MarleyLilly.com and get a free rope scarf (a $19.99 value) for yourself! In celebration of this big Mother's Day sale, Marley Lilly would like to treat a special Clemson Girl Mother and Daughter pair to two orange rope scarves! Enter the giveaway for a chance to win two of these unique, fashionable scarves. Deadline for all entries will be tomorrow, Friday, April 27 at NOON EST. We will compile all of your entries, randomly draw a winner, and announce the winner on the blog Friday afternoon. The winner will have until Monday, April 30 at 5pm EST to claim the prize or we will draw a new winner. Special thanks to Marley Lilly for reminding us all to get shopping for our Moms and for sponsoring this fun giveaway. Happy Mother's Day shopping ladies! I shared on my FB !!! I shared link on my Facebook and emailed! Have now posted a link via FB! I shared this on my FB page! Added the post on Facebook and mentioned it in my status! Emailed it, liked both one Twitter and tweeted about it! Status updated!!! I do love that scarf.... Kristen L. Greer SC. Just shared this on Facebook!